I recently purchased a Digital Photo Tachometer or Optical Tachometer as they are sometimes known. These can be found from many sources online and priced from $22.94, which ours was, up to $300.00 or more. We chose the less expensive unit based on recommendations from others, and although we want the tachs to be fairly accurate, they don't have to be precise. The process is pretty simple and only took a short period of time. The first step is to place a small piece of reflective tape that comes with the unit on the flywheel in a spot where the beam from the photo tach can easily reach it and will be convenient for the tester. It is important that any dirt or grease be cleaned off so the tape will not fly off while you are calibrating. The second step is to start the engine and let it warm up to operating temperature. 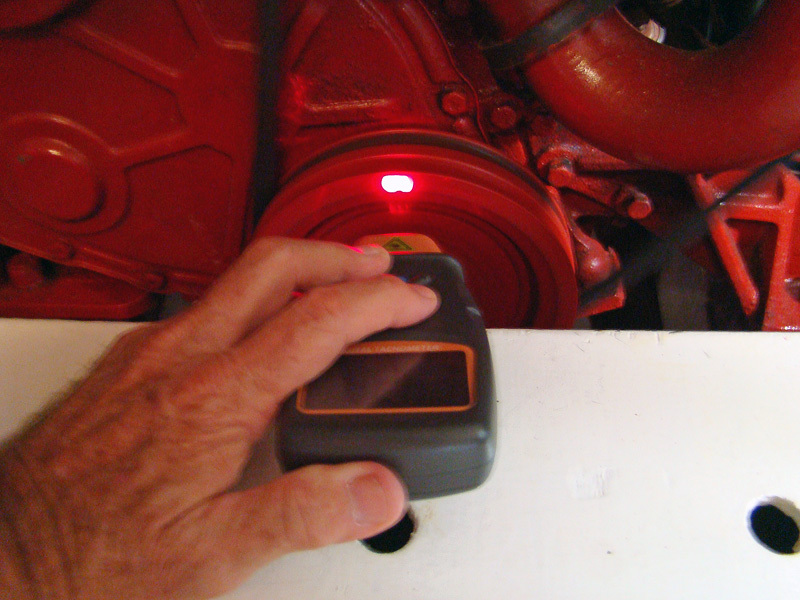 This calibration can be done at the dock or while underway. I decided to do it initially at the dock and then re-check it again at some point while we were underway. The third step is to take the actual measurements. 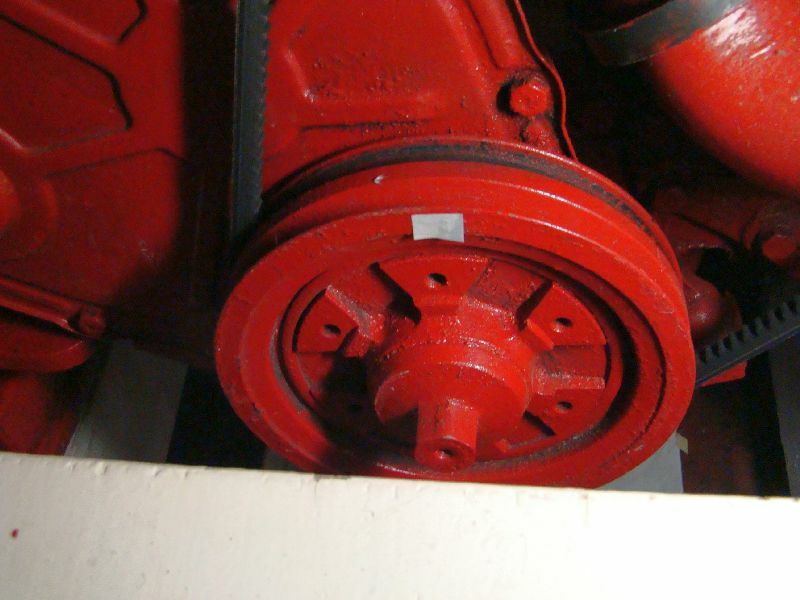 The photo tach needs to be pointed directly at the strip of reflective tape and the beam must hit it every time the flywheel turns. 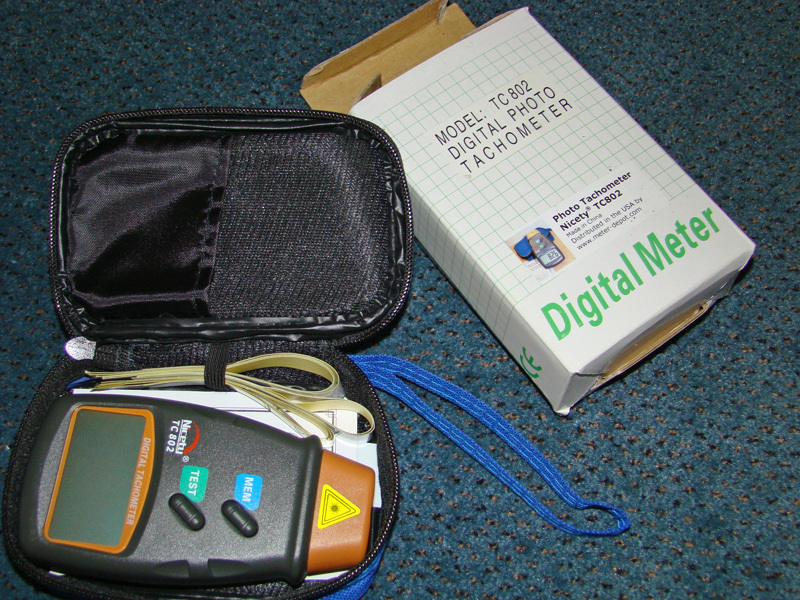 A digital read out on the photo tach gives an over all average for several revolutions. I began with the engine at idle, which is about 700 RPMs for our engine. The RPMs were increased to different points and the difference between the actual tach and the photo tach reading were recorded in a notebook. I ran at 1000, 1200, 1400, 1500, 1700, 1800 and 2000 RPMs to give me a complete range. I did not test at wide open throttle. The readings were consistently 74 RPMs less at the photo tach than the actual tachometer. 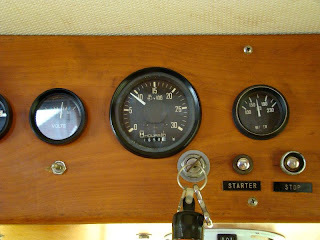 The tachometer at the upper helm was reading about was 125 RPMs less at the actual tachometer than the readings on the photo tach. The upper tach is the most important since we do most of the steering from the upper helm station. Once I had the corrections to apply to the tachometers at the helm station, it was a simple matter to find the access to the small potentiometers on the back of each tachometer for the fourth and final step. These are found in very small holes usually covered by a small plastic piece that has to be pried off. Different tachs can be found in different locations but the adjustment is the same. 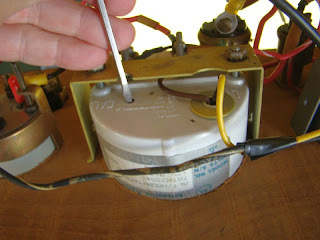 With a small screwdriver that will fit in the tiny hole, slowly turn the adjustment one way or the other depending on whether the reading needs to go up or down until it is where you need it to be. Let the engines run for a while, and check the tachs at different RPMs until they are within acceptable readings. Our tachs run off the alternator so I know the readings will not be perfect, but fairly close. Once satisfied that all is as it should be, the engine can be shut down and everything put back where it belongs. This was probably the simplest and quickest project I have done in a long time. Very timely article as I just bought a new boat (Pacific Seacraft 34)this week and I will be installing a maxprop to help correct for the current fixed prop causing the engine to turn 200 rpms too slow. chuck could you tell me what kind of gauges I could use to replace old worn out once?